We’d love your help. 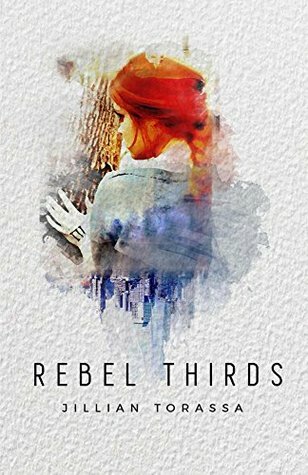 Let us know what’s wrong with this preview of Rebel Thirds by Jillian Torassa. After the End of All Things, The Ten Colony Council enslaved all of the Third Class Citizens (the Smarts who helped destroy the world) in order to protect the more upright members of the dwindling population. Jade Doe is one of these Thirds, learning to control her inherent Knowledge so that she can redeem herself by aiding the society in which she lives. When she learns o After the End of All Things, The Ten Colony Council enslaved all of the Third Class Citizens (the Smarts who helped destroy the world) in order to protect the more upright members of the dwindling population. To ask other readers questions about Rebel Thirds, please sign up. In this dystopian future, the only population left lives in a former New Zealand, because it was the only place still inhabitable after it all ended in the world. The Ten Colony Council rules over everyone. People are now divided into First, Second and Third Class citizens. Knowledge is believed to be inherent, not learned. And those who have knowledge are the reason why the world was destroyed –or so everyone thinks. That's why they become Third Class citizens, that is, slaves when they turn 18 years old, to redeem themselves. In the town of Liminis, Third Class citizens under the age of 18 live in Wissen Schule. Jade Doe lives there. And she's tired of it. When she meets someone who may have different answers to the ones that she had been hearing her whole life, what will she do? Is it possible to change the way society is organized? In my opinion, any world in which ignorance is preferred is a scary world (think about Farenheit 451, by Ray Bradbury, or the Thought Police in 1984, by George Orwell.) To believe that knowledge is the reason why everything goes wrong is a twisted thought. And to revere those who have no intention of learning anything –because they believe that they can't– is even worse. That's why this story interested me so much. The story was very well written, with a good character development. And the difference between First, Second and Third Class citizens was well shown. The only thing you must be warned about: it ends with a cliffhanger. An excellent introductory book by a great young author! Yes, it's another dystopian book...but this is different than the rest. I can almost follow the crazy logic that got the world into this sad state. Which makes it significantly more terrifying. I enjoyed the character development...as well as the hints of what is to come. Can't wait for the next! I have read this book twice now. I have to say, the second time around was even better than the first. I am a sucker for dystopian fiction and this story is strikingly original in many ways. I find myself liking all of the characters (besides the obvious terrible ones) and that alone is huge. I love how the main character is both a woman AND strong/contrary without being annoying like many other female leads in this genre. I can't wait to read what happens through the next two books. Loved it. I was hooked from the very beginning. My only complaint is that the end didn't bring a conclusion. Guess I'll have to read the others to find out what happens. Hunger Game and Divergent fans will love this. One of the best YA fiction novels in a long time. Great premise, great characters, excellent wiring, but most important, it treats it's young audience with intelligence. Readers young and old will appreciate the emotional realism that builds tension and drives the plot. I'm rereading this book because it's time to venture into the 3rd and final book. It's obviously been a few years, but it felt familiar and good. Incredible fresh concept, cleverly written. I loved the complexities between characters! Couldn't put it down. Sure to be the next top seller. This story drew me in. I finished reading it in less than 24 hours, and was left anxious for the next installment. Bravo, Ms. Torassa! Jillian Torassa is an Oregonian who loves stories. Books, movies, TV--anything that tells a funny, real, touching tale is worth her time. Anyone's time, really. She graduated from Brigham Young University, where she studied English and Political Science. Before that, she graduated from McNary High School in Keizer, OR (go Celts! ), and now she lives in Keizer with her husband, two children, and two Jillian Torassa is an Oregonian who loves stories. Books, movies, TV--anything that tells a funny, real, touching tale is worth her time. Anyone's time, really. She graduated from Brigham Young University, where she studied English and Political Science. Before that, she graduated from McNary High School in Keizer, OR (go Celts! ), and now she lives in Keizer with her husband, two children, and two cats. 5) Color--green (in nature) or hot, obnoxious, bright pink.